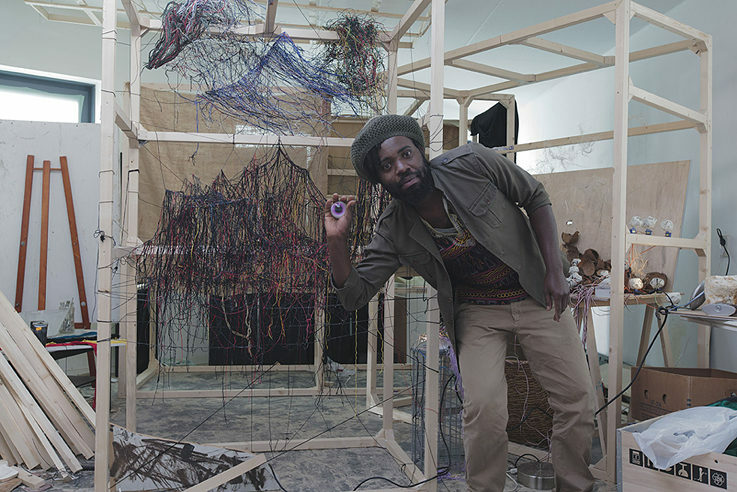 Em’kal Eyongakpa (born 1981 in Mamfe, Cameroon) is the first recipient of the Henrike Grohs Art Award, conceived by the Goethe-Institut and the Grohs family. He will be awarded with a 20.000€ cash prize on 13 March 2018 in Abidjan. “The jury unanimously awards the inaugural Henrike Grohs Art Award to Em’kal Eyongakpa for his poetic, subtle and subjective approach. 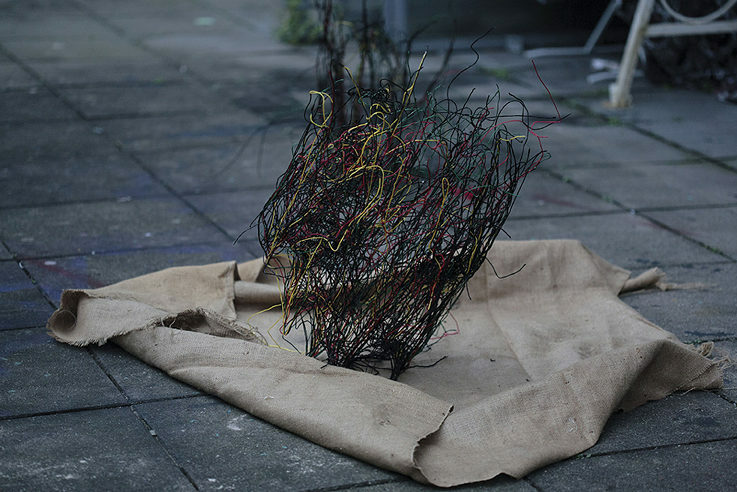 His work expresses universal concerns of humanity. 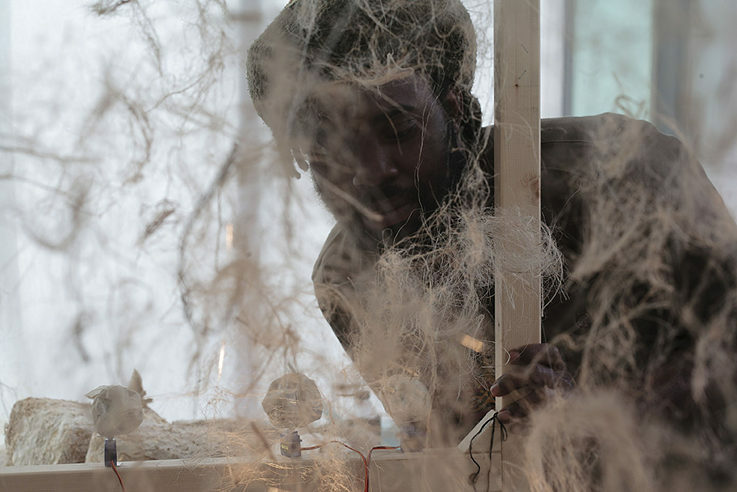 The multidisciplinary stance of his practice that includes knowledge derived from science, ethnobotany, magical realism, experimentation and utopia, aptly responds to the core values of the Henrike Grohs Art Award”, said the jury members Koyo Kouoh (Artistic Director, RAW Material Company, Dakar), Laurence Bonvin (artist and representative of the Grohs family, Berlin), Raphael Chikukwa (Chief Curator, National Gallery of Zimbabwe, Harare) and Simon Njami (Curator, Paris). Em'kal Eyongakpa is an intermedia artist who approaches the experienced, the unknown, as well as collective histories through a ritual use of repetition and transformation. 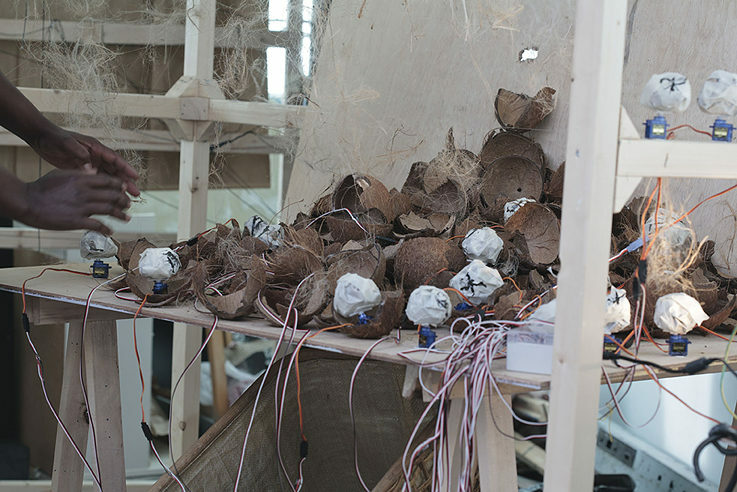 His recent ideas increasingly draw from indigenous knowledge systems and aesthetics, ethnobotany, applied mycology as well as technology in his explorations of the personal and the universal. 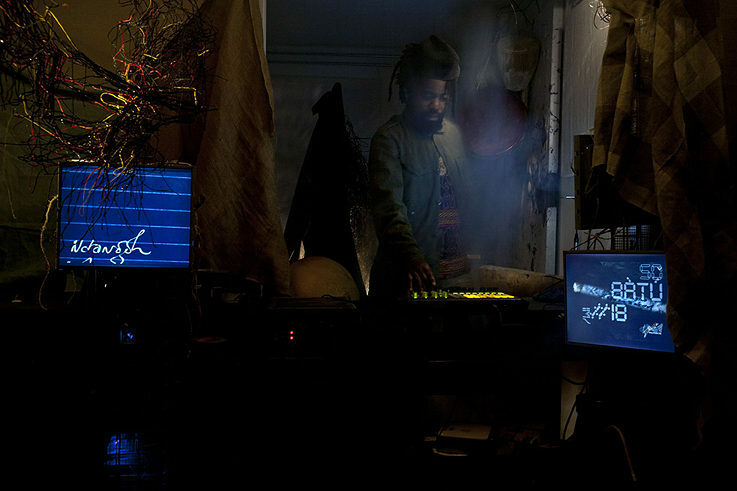 Eyongakpa is also known for self-organised community research projects and autonomous art hubs like KHaL!SHRINE in Yaoundé (2007-2012) and the recently launched sound art and music platform ɛfúkúyú. He holds degrees in Plant biology and Ecology from the University of Yaoundé and was a resident at the Rijksakademie in Amsterdam. 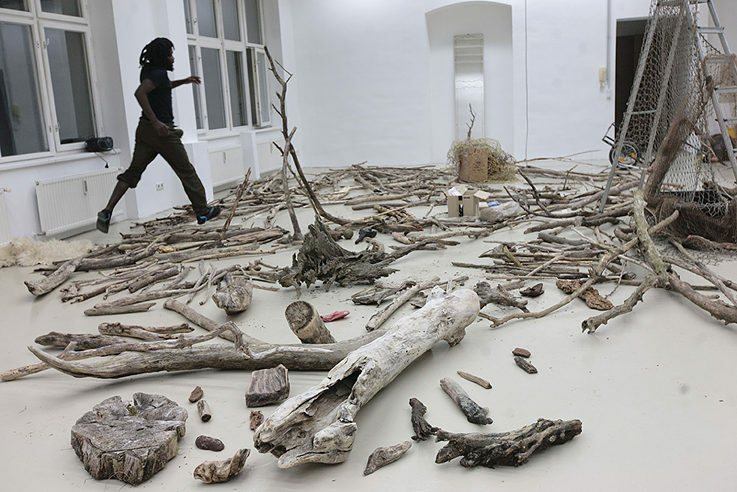 Eyongakpa's work has recently been exhibited at the Jakarta Biennale (2017), the 13th Sharjah Biennial (2017), La Biennale de Montreal (2016), the 32nd Bienal de São Paulo (2016), the 9th and 10th Bamako Encounters (2011, 2015), the 10th Biennale de l'art africain contemporain, Dak'art (2012) and at several international art spaces and museums around the world. 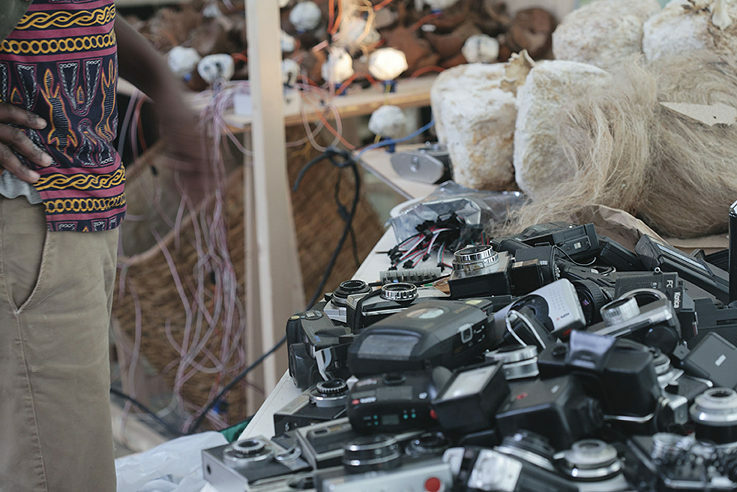 The Henrike Grohs Art Award is a biennial prize dedicated to artists who are living and working in Africa and practicing in the field of visual arts. It recognises the lifetime achievements of the former Head of the Goethe-Institut in Abidjan, Henrike Grohs, who was killed on 13 March 2016 in a terrorist attack in Grand-Bassam, Côte d’Ivoire.